Shots are odd. They're an acceptable way to get drunk incredibly quickly, most of them are foul but we drink them anyway and for some reason a lot of them are served to you on fire. This would never happen with food. "Would you like an apple? Yep? Hang on, I'll just set that on fire for you." Despite all this, they are delicious. Here are some of the weirdest shots out there that you have to try. Ever seen a tapeworm emerge from a human body? This shot looks only marginally less gross. But when you taste it it's surprisingly delicious, despite the ingredients. 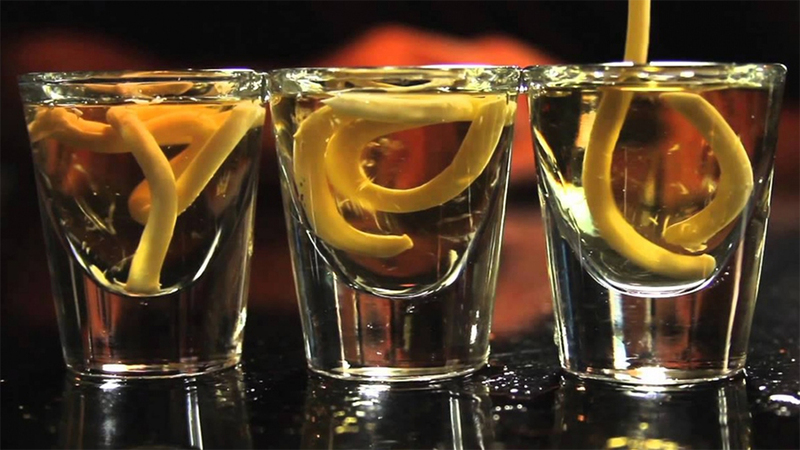 Get a shot of delicious tequila ready. Slowly squirt in a long thin mayonnaise worm into the shot, making sure it floats around looking gross. Drink. Why wouldn't you want to finish every drink with a big mouthful of delicious mayonnaise? This one is pure spectacle. You could pretty much use any drinks as long as they'll set on fire. You pour the Sambuca and Kahlua into one glass, and the Baileys (or much more delicious and far cheaper Tesco's own Irish Meadow) and Blue Curacao into the other shot glasses. Add fire to the Sambuca glass, and immediately begin drinking (fast) with a long straw. Pour the other shots into the glass to put the fire out, to extinguish. Keep drinking until drink, fire and reality all disappear. We highly recommend you leave this one to a trained professional. Because screw you, fire safety. Named after the weapon used in the Texas Chainsaw Massacre films, you know this shot isn't going to be for the faint-hearted. If you like your spice, you've found your shot. Pour a bit of tequila into a glass. In another glass mix the rest of the tequila with the other ingredients. 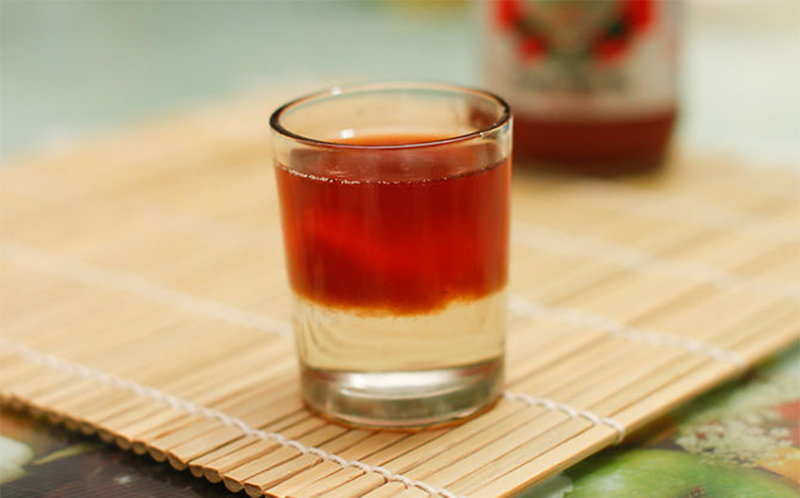 Get a spoon and pour this mix on top of the tequila shot, using the back of the spoon to make the mixture float. Drink. Follow it up with a shot of milk if necessary for cooling purposes. 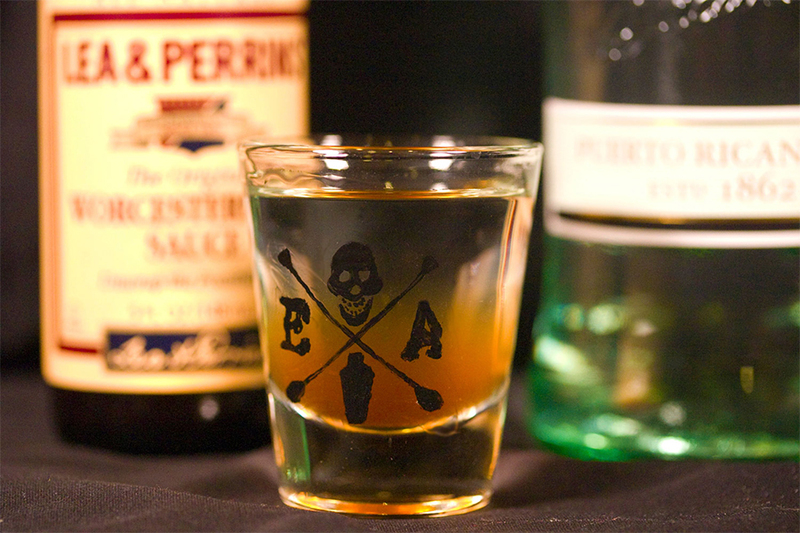 It's a shot glass you can eat without cutting your mouth open. 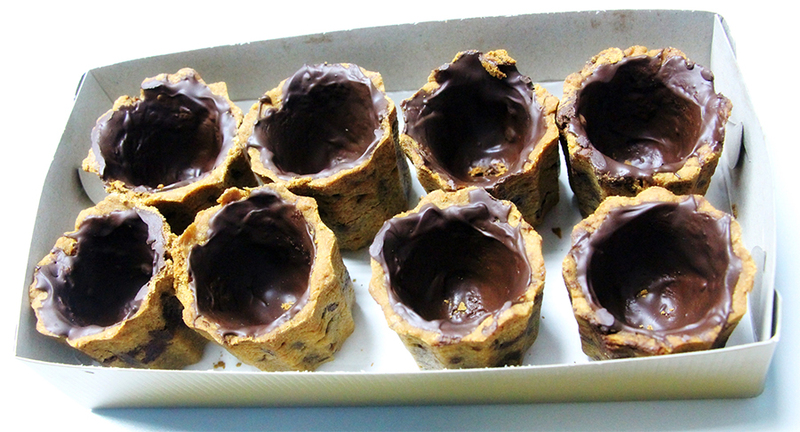 You make a usual cookie recipe, but use tin foil you've shaped into a shot glass to control the shape of your cookie. Once they're done pour in your favourite drink (though something sweet like irish cream or coffee liqueur is recommended) and eat the whole thing. It's what cookie monster would use as a shot glass. Throw away your shot glasses right now. Now recycle them, we're not animals. Try marsh-mellow glasses instead. No-one owns enough shot glasses for a party, but marsh-mellow bags only cost a pound. The problem with steaks is they're too chewy and don't get you drunk. No longer a problem thanks to Liquid Steak. In a past life as a cocktail barman I met a guy who used to make these by wringing out an actual steak into the shot glass as well, for extra authenticity. Some recipes call for you to scoop out the yolk and replace it with booze, using it as an eggy shot glass. Don't do this. The yolk is what makes it delicious. Because we dared you. It's delicious pickled egg and tolerable Jägermeister, what's not to love? This one's just bizarrely good. In fact it tastes so damn good you'll never drink another glass of water again in your life, and will look into the logistics of getting this stuff to come out of your taps. If you only try one shot on this list, this one should be it. Note of caution: this is mainly made of calories. Delicious calories, but calories nonetheless. It was crafted by god himself, with satan's assistance. Like this? 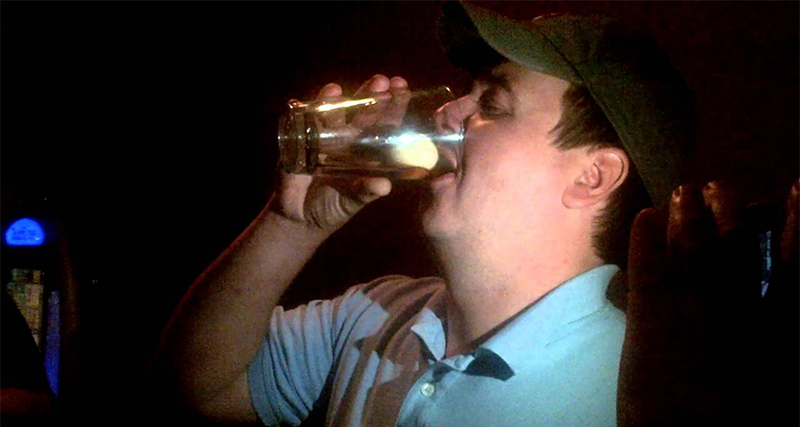 Check out 10 drinks you should avoid at all costs during freshers.